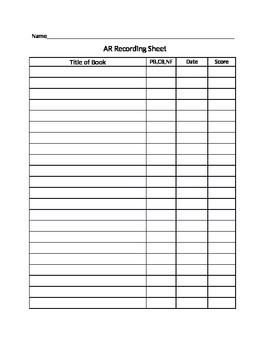 If your school participates in Accelerated Reader, AR, this is the reading log for you! There is a place for your students to keep up with the types of books they are reading and the score received on each AR test. PB stands for picture book, NF for nonfiction, and CB for chapter book.